A Quickcharge Kiosk has been set up in the printing room of Newcastle Library. Quickcharge provides a rapid 10 minute charge of your mobile phone for just $2. It is compatible with 90% of mobile phones. Simply plug your phone in and wait. The holidays are nearly here! The TAFE vacation period is from Monday 26th September – Friday 7th October. Some libraries will be closed, or open only for part of the vacation period. Click here to check the opening hours for your campus Library over the break. Going away? Most Libraries let you return your books after the holidays, but please check with Library staff. Also, please make sure that you have renewed your items if you need to do so. Remember that you can renew your items online, via TAFEcat. To do this, you will need to get your PIN number from Library staff. Once we have given you a PIN number, you can log in and change it to something that you will easily remember. Opening Night Wednesday 5th October Doors open 6.30pm – 8pm, Front Room Gallery, Newcastle Art School (TAFE), 582 – 608 Hunter St Newcastle West. The Collectors Care Exhibition catalogue can be viewed online from mid-September. Visit the Special Events page on the Samaritans website at www.samaritans.org.au. 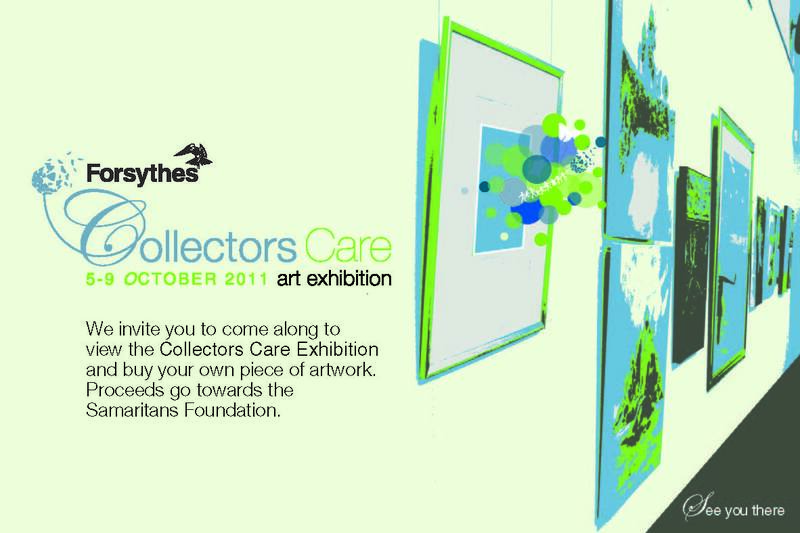 Collectors Care is a collaborative exhibition of affordable collectables featuring works in a variety of mediums by well-known artists. All works for sale are a maximum of $1000 with a 35% commission to the Samaritans Foundation, to support people in need in our local community. Proudly sponsored by: TAFE Hunter Institute, Forsythes, Samaritans, The Newcastle Herald and thanks to Print Nova.